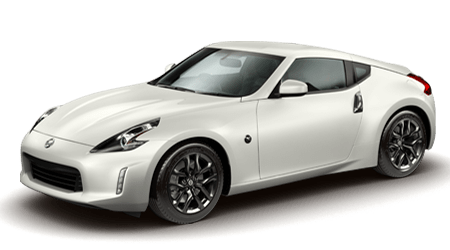 The Nissan 370Z is a capably powerful, innovative sports car that provides you with exceptional style, exhilarating performance and effortlessness as you slice through the wind. 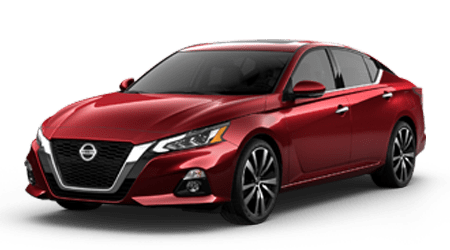 The Nissan Altima of 2019 features the world’s first available production Variable Compression Turbo engine. Rediscover your joy for driving and enjoy the space and innovation within this sleek sedan today in your scheduled test drive! 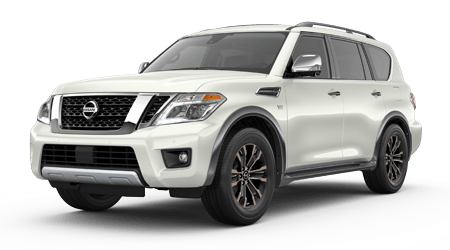 The Nissan Armada is the durable full-size SUV you’ve been looking for to provide you with the capability, space, tech and performance you need for your various adventures. 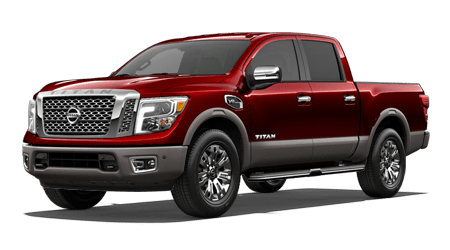 The Nissan Titan features rugged outside looks, a refined interior and exceptional performance capabilities. Experience these aspects in this stunning, full-size pickup truck today in your scheduled test drive! The Nissan Rogue offers drivers the ability to take on Take on various adventures with impressive capability, bold styling and innovations that keep you connected and alert on the go. A sleek, aerodynamic exterior with sculpted curves and a refined interior brimming with tech awaits you in the Nissan Sentra. Explore it first-hand by scheduling your test drive with us today! Whisper through the wind with efficient performance that impresses, innovation that keeps everyone connected and style that induces double-takes by passerby. Valdosta Nissan serves all of Southern Georgia and Northern Florida with an unsurpassed customer experience that provides everything you expect from a top-rated automobile dealership. Our large inventory includes the entire line of new Nissan models. We typically offer more than a dozen Certified Pre-Owned Nissan models covering the last five model years. In addition, you can choose among many quality used vehicles from Nissan and other carmakers. The factory-trained, certified technicians at our Service Department use Genuine Nissan Parts and Accessories to maintain your Nissan in like-new condition. We never use cheap aftermarket parts on your Nissan, because they often suffer from poor fit and function, and their use could easily void your warranty. Appointments are easy to make on our website, but you can also phone, email or message us with your request. If you prefer, simply drop in and we’ll take good care of you. Our Parts Department carries a nice selection of Genuine Nissan Parts, ready for pickup or shipment. Our Nissan dealership constantly sponsors many special deals. Check our website frequently for the latest specials on new and used vehicles, as well as service and parts. We have many Nissan vehicle incentives, including financing, leasing and promotions. Valdosta Nissan is famous for friendly customer service. In addition, we gladly give back to the Valdosta community by supporting local nonprofits, causes and events. That’s our way of saying thank you to all of our customers. Valdosta Nissan does it all. We hope you will visit us soon! 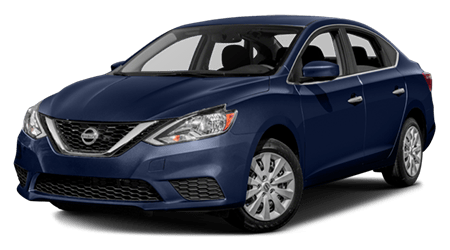 From the nimble Nissan Versa to the spacious Maxima, we have an array of new Nissan vehicles just waiting to be explored! Use our website to get a feel for the lineup now, or visit our dealership near Thomasville, GA for a hands-on experience of a Nissan Rogue! We're eager to review our 20-year/200,000-mile warranty program with you, as well as our Oil Changes for Life offer, so don't hesitate to get in touch with us! Secure a vehicle you can count on, make your way to our Nissan dealership near Thomasville, GA to shop our used car inventory. Each vehicle undergoes a rigorous inspection process so that we can attest to its safety and quality. We also offer trade-in services that make it easy to upgrade your current ride! From credit challenged loans to competitive rates for drivers with pristine credit scores, our finance department can help you secure the loan package that complements your needs. Use our no obligation Nissan credit application to express your interest in our assistance now! Our factory trained service technicians will cater to the health of your new or pre-owned Nissan vehicle, at prices that are driver-friendly! 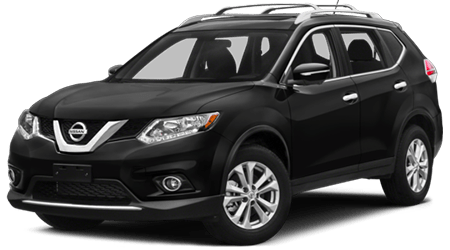 Our new and used dealership in Valdosta, Georgia has a range of service specials to take advantage of, and thanks to our online booking services, drivers in the area can schedule an auto service for their Nissan Pathfinder with ease. Book your appointment now or contact our team to learn more about the services we offer. Our Nissan dealership has a parts department that is fully stocked with competitively priced Original Equipment Manufacturer items. Get in touch with our staff to learn about which genuine parts you'll need to complete an at-home maintenance or repair, or use our online order form to request a Nissan component now! We have numerous parts specials to explore as well, so don't hesitate to browse them all right here on our website. Here at Valdosta Nissan, our slogan is "Whatever It Takes." That means we'll do whatever it takes to ensure you enjoy a stress-free shopping experience that complements your needs, wants and budget. 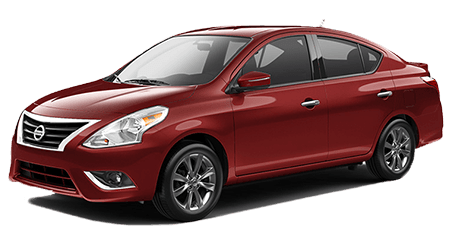 We're not here to sell you the latest Nissan Sentra to hit the market, but to actively listen to what you're looking for and customize a shopping plan that leaves you feeling satisfied! We look forward to assisting you soon.